Check out the highlights and key features below to learn about this useful feature. You’ve likely seen either Infinite Scrolling or Load More button options in use all over the web. There are several cases where there are cons against infinite scrolling: if it is not implemented well, the shoppers can lose their place after a while. This is where the ‘Infinite scrolling with page limit’ option comes in handy -- it combines Infinite Scrolling and the Load More button. When this page number is reached, a button to load more products will be shown instead of continue loading products automatically with the scroll. 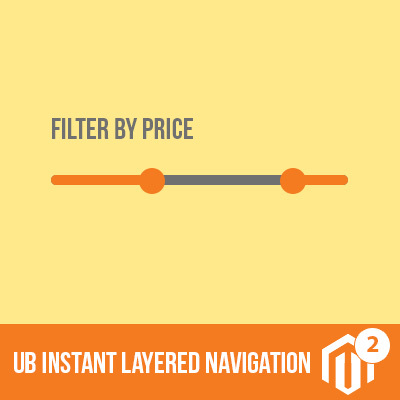 Infinite Scrolling is a common feature for Magento category page. Keep scrolling, the category page keeps expanding. For the search page, it is really useful where your shoppers will want to continue viewing new search results while they don’t find the one they want, and a pagination option can slow down in their search. Besides, if you use the Catalog Product List widget to display the list of products and assign them to appear in a specific place in the page layout, infinite scrolling can also be applied to this dynamic widget. 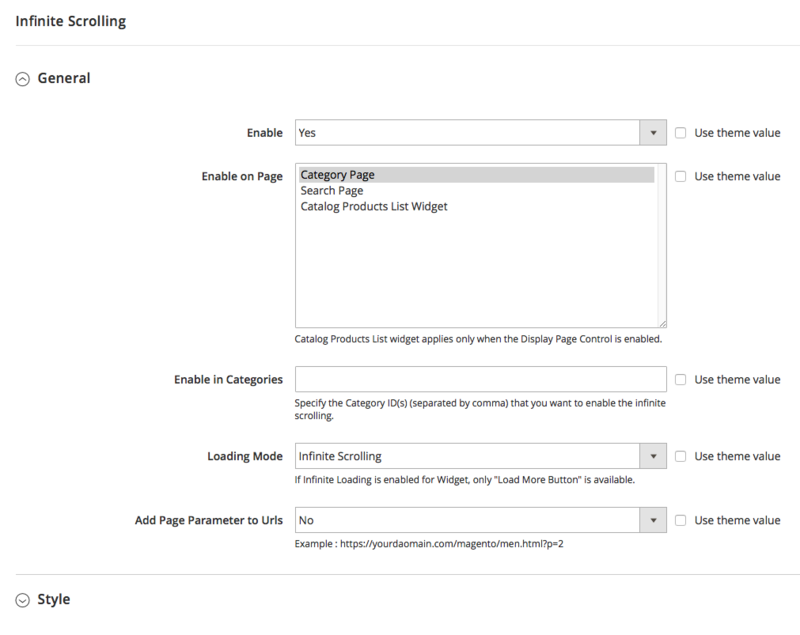 Note that, in order to enable Infinite Scrolling for the Product List widget, you need to enable the Display Page Control within the widget first. You have full control over setting up for infinite scrolling in UB Trex Pro theme. It’s easy to specify your own Load More button text, Ajax Loader icon etc., If you need to add page parameter to URLs, such as https://yourdomain.com/men.html?p=2, simply enable that option right within the admin dashboard. You’ve learned the highlights of Infinite Scrolling feature which will be built in by default in (Magento 2) UB Trex Pro theme. In many cases, if pagination is not an option for loading your product data, you can take advantage of Infinite Scrolling. This way, it automatically adds the next page, saving users from a full page load. If you need to find out more about our upcoming UB Trex Pro theme, head over to the theme’s sneak peek here. 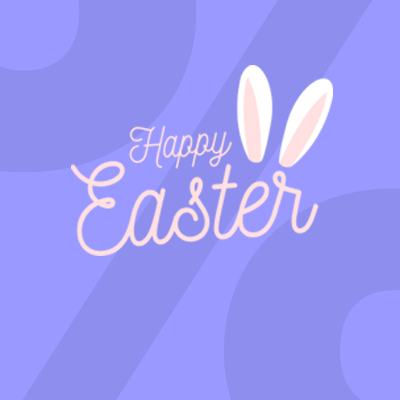 In the meantime, if you have any questions or comments, please let us know in the comment section below.